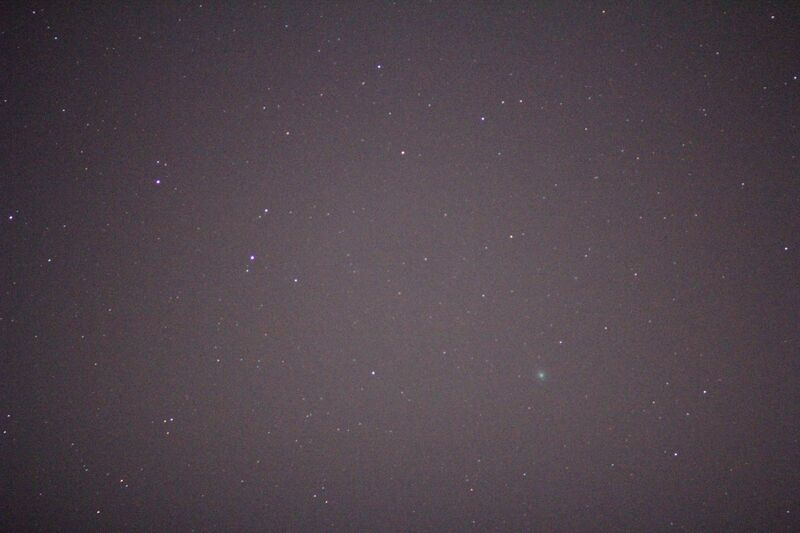 Sunday and Monday evening it was clear, so it was time to find Comet Lovejoy again. This time it was near the beautiful Pleiades. Of course, that is worth a picture. 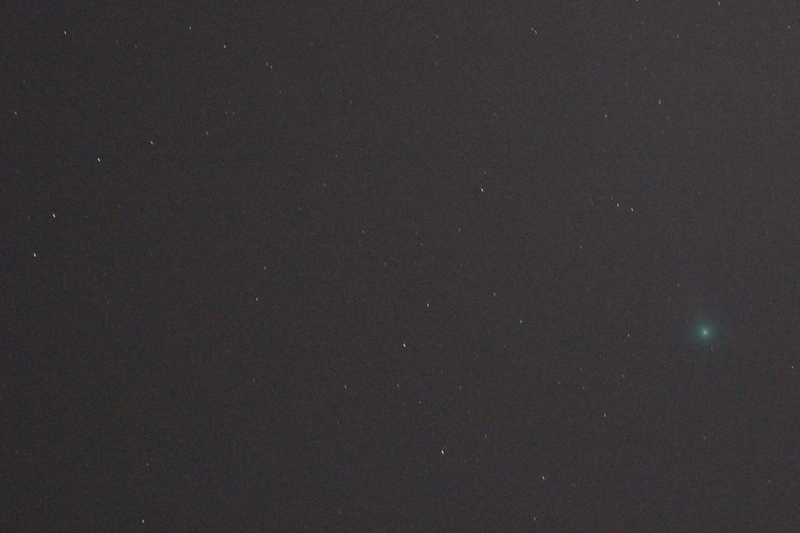 I thought it would also be fun to see how much the comet had moved over one day – the change is quite visible. I was hoping to go for a three-day comparison, but now it’s cloudy again. 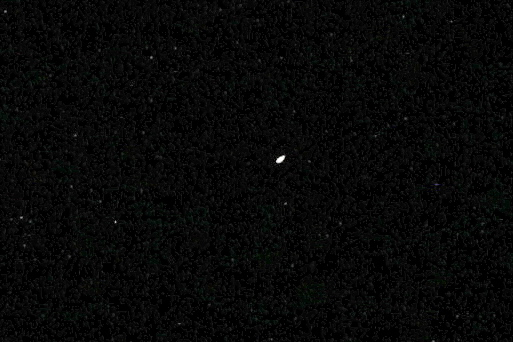 In choosing which picture is the best, I find that I am using the following criteria: good focus (automatic toss for out of focus picture unless happen upon cool “artistic” effect), no visible star trails (stars should look like a point, not a line), visibility of comet, color of objects, color of sky, and noise of sky. 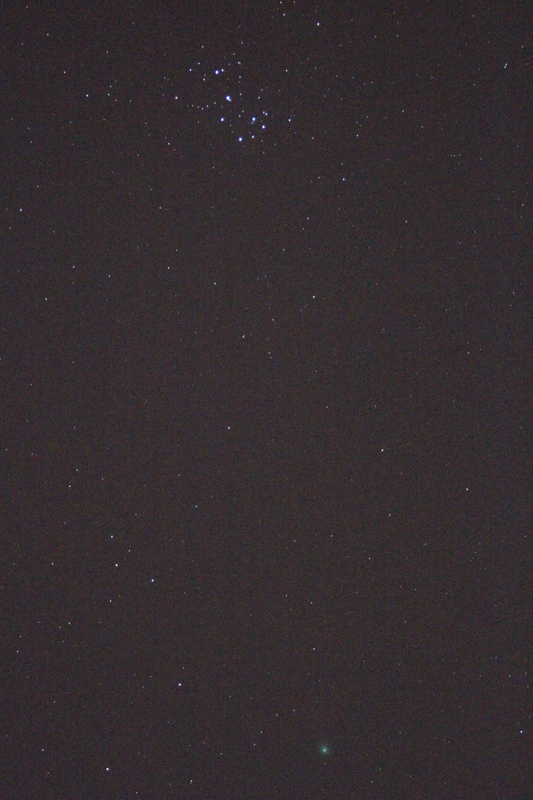 While I have pictures with darker, less noisy sky, they don’t show the comet as well. 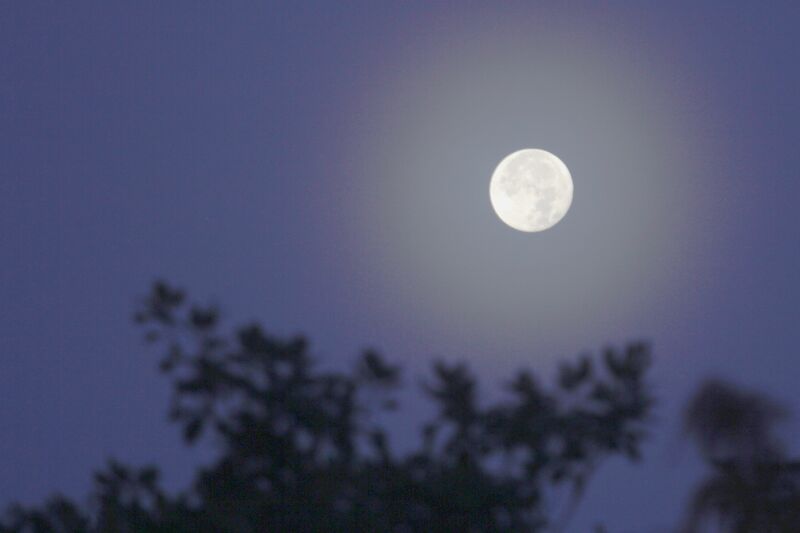 I am also finding that the image quality is far better when I zoom to my desired field of view instead of cropping in post-processing to get there. Zooming in … how about now? 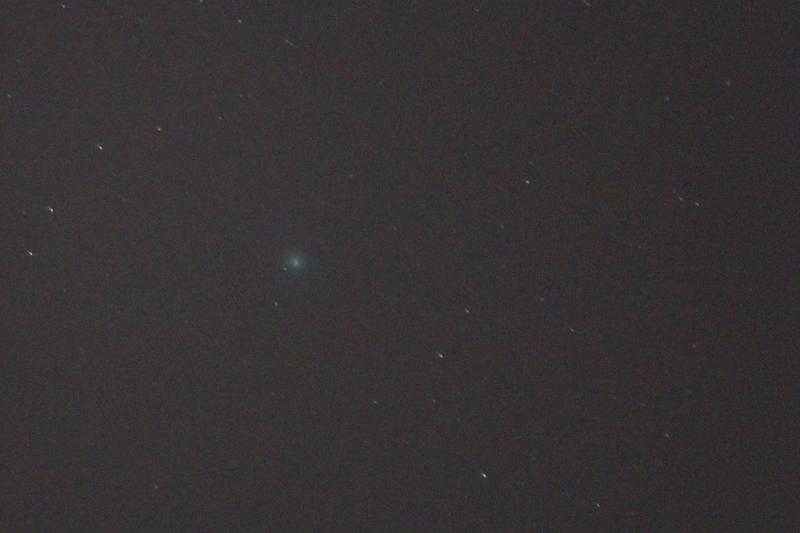 It’s been a long time since there’s been a comet that I could successfully see and photograph! Comet Lovejoy is a star hop from Rigel (Orion’s foot) into Eridanus, where it can easily be seen (at least in the suburbs in the northern hemisphere) with binoculars, a telephoto lens, or a telescope. It looked gray through the binoculars, but in the pictures it is a beautiful green. 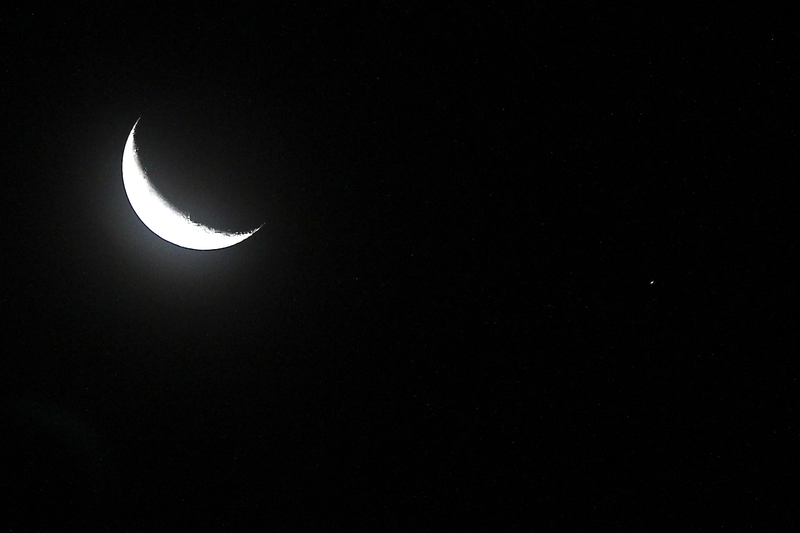 I am glad that our winter clouds cleared away and I got a clear night last night to spot it. 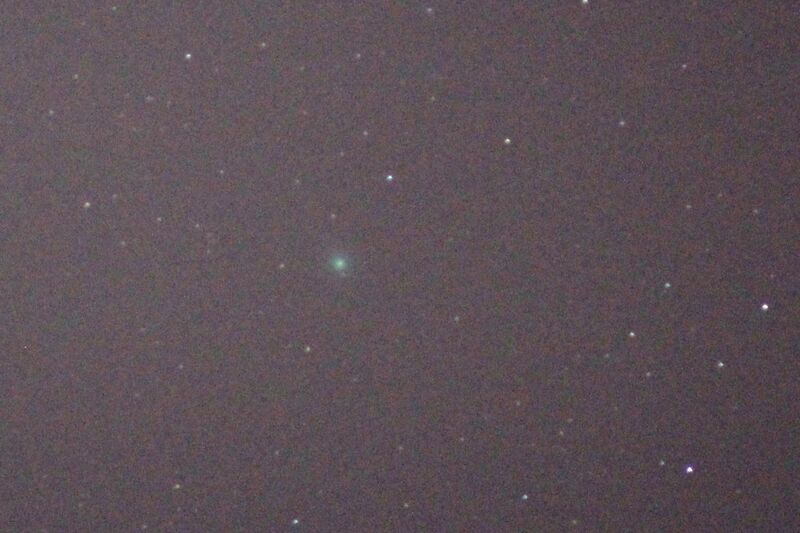 I was hoping for a second clear night in a row so I could show that the comet is moving relative to the stars. Alas, the weather did not cooperate, and it looks like it’s going to be cloudy for a while. But I’ll keep looking up! 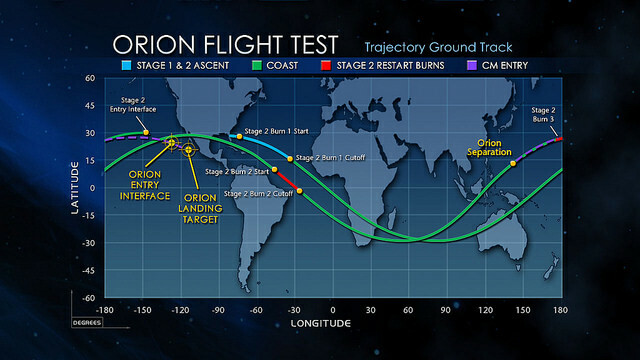 I got up early yesterday and again today to watch the launch of NASA’s newest spacecraft, Orion. This flight, Experimental Flight Test 1 (EFT1), is, as its name suggests, a flight test to check out critical Orion systems before we send it further away with people on board. I cheered when it successfully launched this morning and did not get any writing done because I was too intrigued with the Orion TV feed. – I’m conditioned to watch Space Shuttle launches and know the event timing, and it was odd for me to watch a launch with different timing and steps. Shouldn’t the side rockets fall off after two minutes? Apparently, no. – I saw some insulation popcorning off the Delta IV in the rocket cam video feed, but I didn’t have to worry about anything hitting Orion since it’s on top of the stack. That’s a big benefit to the top of the stack design. – I was furious with the idiots who kept tweeting Orion had blown up. Can I tunnel through the internet and terminate their connections? Please? – I cheered when we started getting good telemetry off Orion via its own communication system and the Tracking and Data Relay Satellites (TDRSs). – I loved the views of Earth from the Orion cameras. – I was happy when I saw the Orion animation showing Orion was passing the Texas Gulf Coast. Unfortunately, I hadn’t thought to use my screen capture program to catch it. And it was raining here at the time, so there was no point in going out to wave. 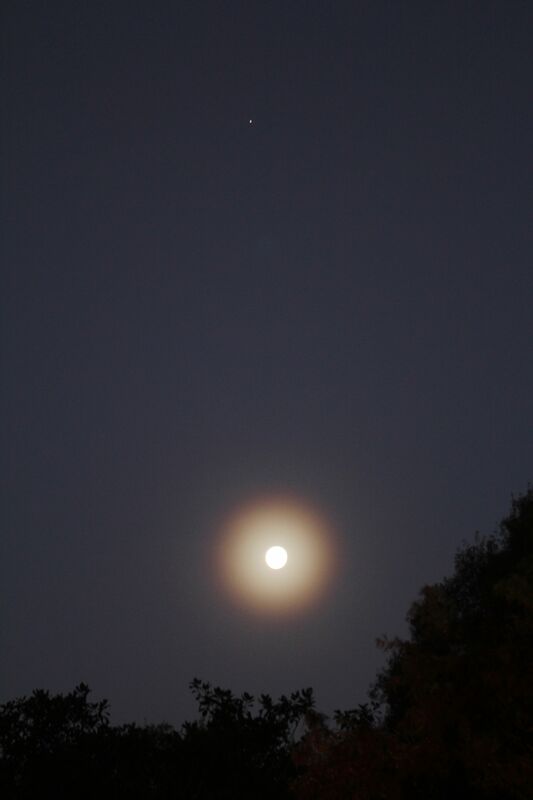 – Once Orion was up in its elliptical orbit, the view of the Earth was a tri-color Earth much like my tri-color Moon from my lunar eclipse photos: white limb, blue middle, and black in shadow. I need to figure out if that’s just an effect of the camera’s dynamic range because if not I want to capture the tri-color effect in the story I’m currently writing. – Orion did, as expected, experience a communication blackout when the reentry plasma got too thick. – The video of the landing and splashdown – from the Ikhana drone and Orion itself – were awesome. I loved the infrared point of the approaching Orion and getting to see all the parachutes deploy. – It was great that NASA TV and ustream broadcast the entire mission, and I enjoyed sharing the event with the twitter community. I don’t tweet often, but this event seemed made for it. I spent the whole morning watching the flight. What an awesome day! Ground track picture from NASA Flickr. 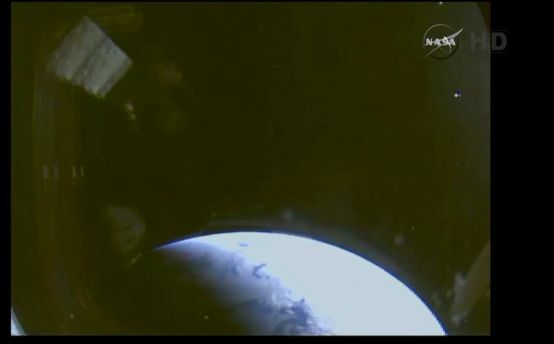 Tri-color Earth picture screen shot from ustream NASA TV feed. 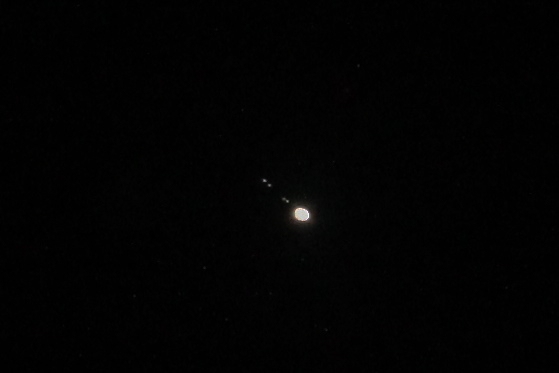 This week, I got to see something really, really, really cool at work. 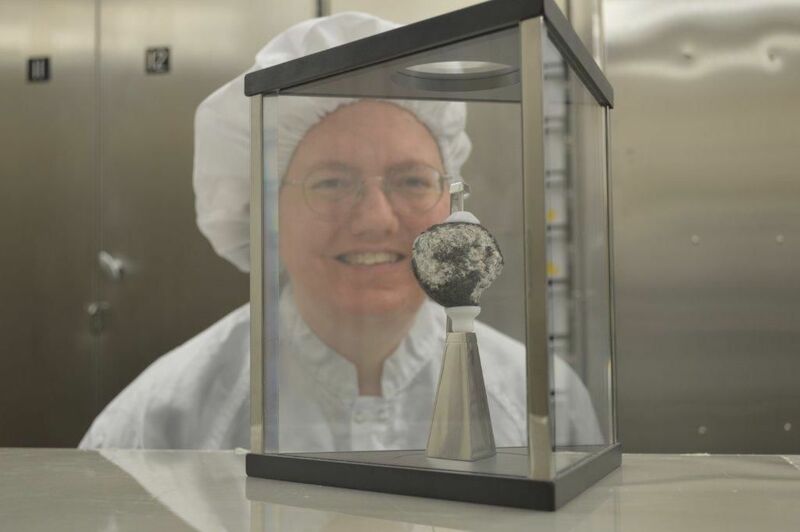 I got to go on a tour of the Lunar Sample Lab through my company. It was *awesome*! You can read my blog post about the tour on the ERC blog.